May Events – The Fight For Our Schools Continues! 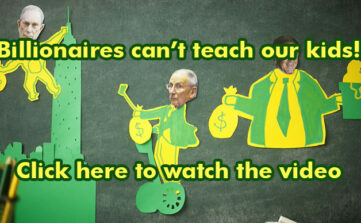 Join us in May to demand the full funding, not closure or privatization, of our neighborhood public schools. 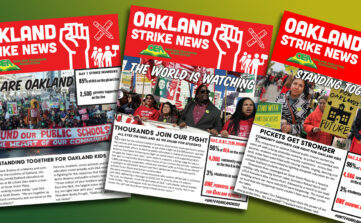 On Sunday, March 3, Oakland Education Association members voted to ratify our contract. 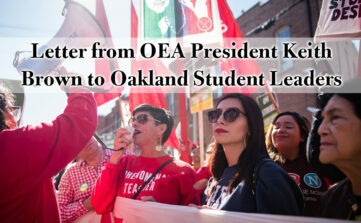 Dear Student Leaders of All City Council Student Union, Youth Together, California For Justice, Oakland Kids First, AYPAL, and REAL HARD,Thank you for standing with Oakland Educators in this fight for the schools Oakland students deserve. 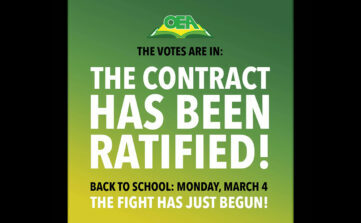 After seven days on strike – with 95% of our members on the line, 97% of students out of school, and tens of thousands on our picket lines and rallies – we have reached a Tentative Agreement! 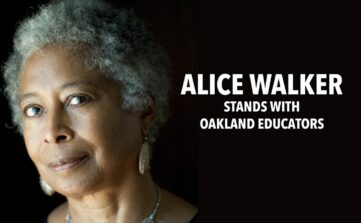 To The Teachers of Oakland (from Alice Walker) — Dear Teachers of Oakland, I am honored to have been asked to speak to you today, or, in the event, to send you a message of solidarity and support. As many of you know, having read my work over the years (hopefully!) Teachers are some of my favorite people. I have a deep respect for you. A deep caring that you are treated fairly. That you are treated well. Help us get the word out! 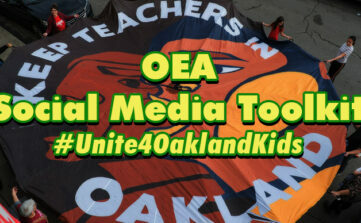 Share on social media with #Unite4OaklandKids! Follow us on Facebook, Instagram, and Twitter! From OEA President Keith Brown: Today we received a bargaining proposal from the district, which our bargaining team has reviewed. 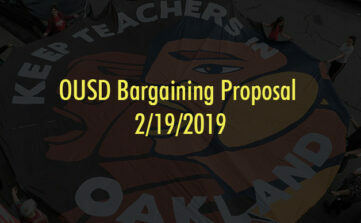 While we believe this proposal continues to fall short of reinvesting in our schools at the levels our students deserve, our bargaining team has agreed to meet with the district’s negotiators tomorrow morning to review it together and ask clarifying questions. We will bring you a bargaining update after the meeting. 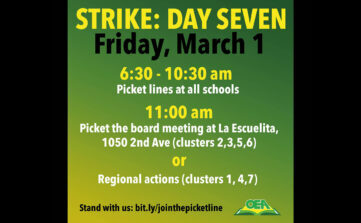 In the meantime stay united, and continue your preparations to walk the line for the schools our students deserve.